Buffalo’s resurgence has brought growth and new opportunities to the region on many fronts – especially the bar and restaurant industry. From everyone’s favorite tried-and-true American staples to more adventurous cuisines, the area’s food scene has taken off in the last few years. With so many places popping up throughout the city and suburbs, there’s no shortage of new hot spots to try – and you might be wondering where to start. Countless restaurants have flocked to social media to share their custom creations with locals, posting eye-catching images and giving followers a feel for what their dining experiences are like, which we absolutely love. 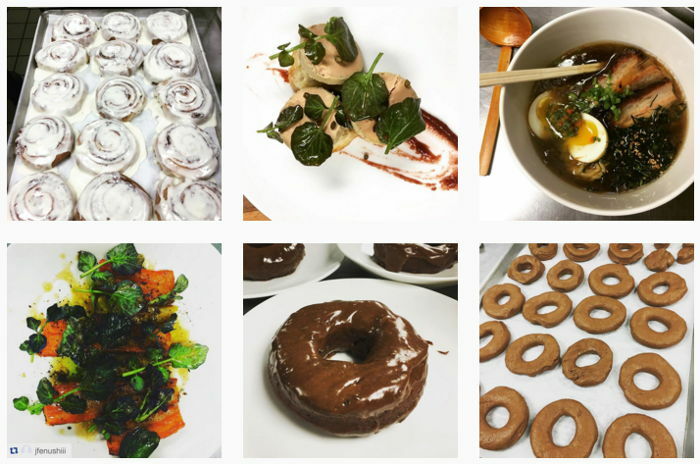 Here are eight Buffalo restaurants that are absolutely killing it on social media (we recommend following them as soon as you’re done reading this post). Whether you’ve stopped in to these restaurants before or they’re completely new to you, hopefully this will give you some ideas for your next outing! 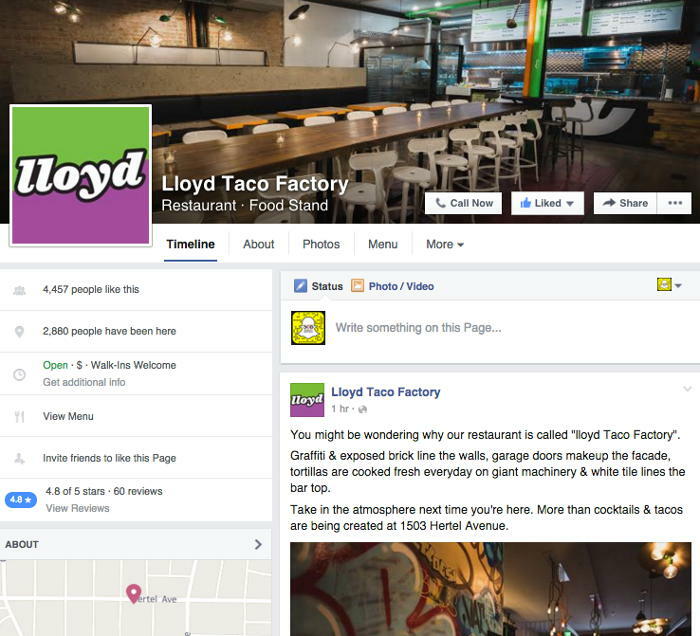 Lloyd recently brought their food truck favorites to a stationary location on Hertel Avenue, and wasted no time establishing a presence for their restaurant on Facebook. In addition to sharing images of menu items, they keep their fans informed about all the latest that Lloyd has to offer. One of the most talked about facets of the Taco Factory is that they produce their tortillas in-house, so they are promoting this exciting news through a link to their blog. They also use Facebook to promote new offerings, daily specials, and inform the community about jobs available at the restaurant and on their trucks. 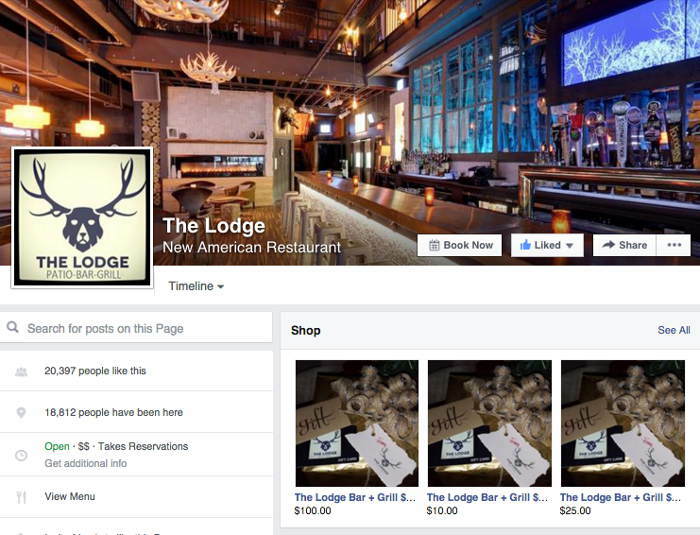 With over 20,000 likes, The Lodge has made a name for itself in the local social media community. Their primary use for Facebook is spreading the word about upcoming events like food and drink tastings, live music, and holiday-themed events. ‘Liking’ The Lodge on Facebook is the perfect way to stay informed about what’s happening at the restaurant on any given night. You can also read customer reviews, get a 360-degree tour, make reservations, and purchase gift certificates directly from their page, allowing you to get almost any information you need before stopping in. 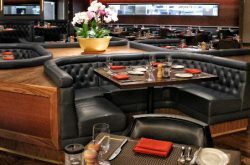 Soho has effectively positioned itself as the place to be before or after an event downtown, encouraging those going to a game or show to stop by for a quick bite or cocktails – typically at a discount with an event ticket. 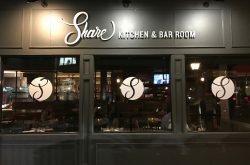 They also share their daily meal and happy hour specials, offer Facebook-exclusive giveaways and discounts, and feature picture-perfect images of their most popular burgers. You’re hard-pressed to go there on a day when there isn’t a special deal or event going on. 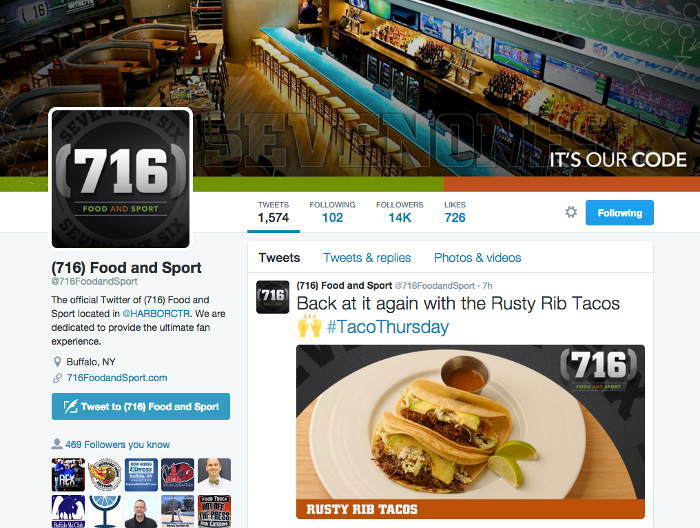 From their over-the-top restaurant and bar (have you seen that 38-foot TV screen) to their vibrant Twitter presence, (716) Food and Sport is all about sensory overload. 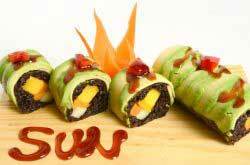 Every tweet features a bright image of a menu item with a message that hits home with their followers. Since they’re arguably one of the best places to watch a game in Buffalo, many of their posts are sports-focused, promoting specials during Bills, Sabres, and Bandits games. They also tweet a few times a week about their daily happy hour specials for those looking to unwind after a long day at the office. 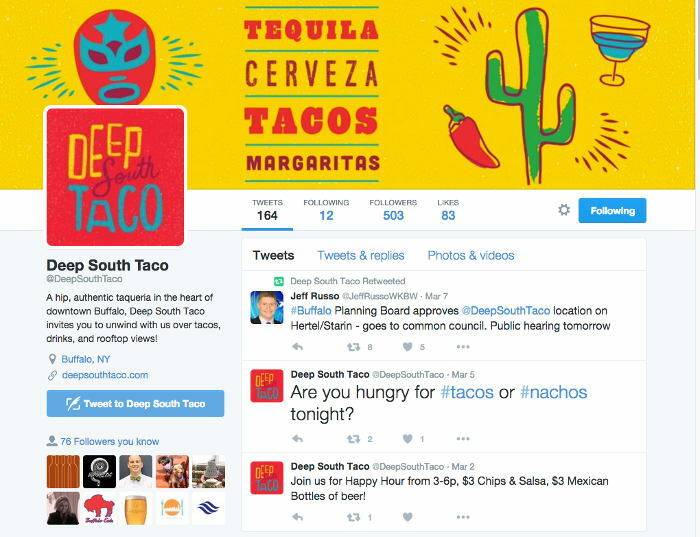 Despite being quite the newcomer to Buffalo’s bar and restaurant scene, Deep South Taco has been quick to establish its presence on social media. They are still building up their following, but are extremely active on Twitter when it comes to spreading the word about daily specials and updating followers on the progress of their new location coming to Hertel Avenue. They also place an emphasis on retweeting and replying to content shared about them from both the media and everyday customers, so you can be sure that if you have any questions or feedback about your experience, they’re going to listen (and probably respond). For a restaurant that has only been open for a little over a year, Hydraulic Hearth wasted no time establishing its presence on Instagram. They share a variety of content, from their freshly made wood-fired pizzas to their popular Bagels and Brooze Saturday brunches, and it’s evident that every image is thoughtfully planned out. 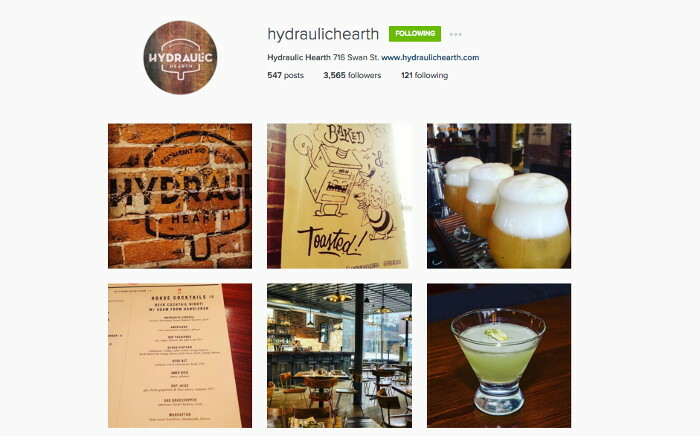 Hydraulic Hearth gives you great insight into what an experience at their restaurant is like, and you’re likely to feel pretty hungry after checking out their Instagram. 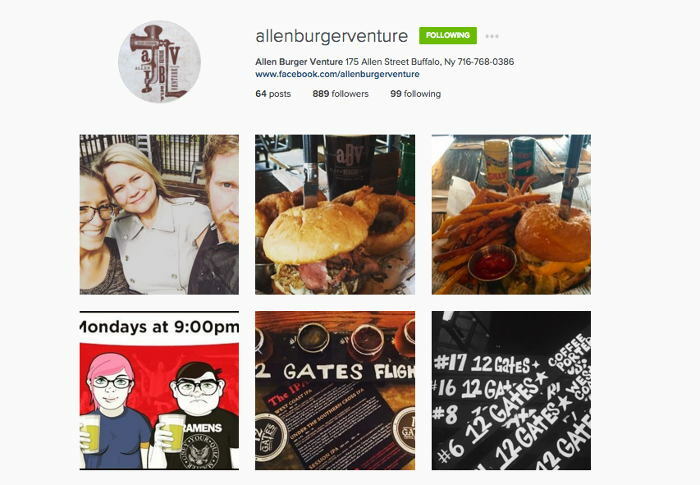 A newbie to both Instagram and the Buffalo restaurant scene, Allen Burger Venture understands that you can get a quality burger at establishments all around Western New York, so their Instagram presence needs to distinguish them from the rest. Their posts are a good mix of menu items and events or specials happening at ABV. They place a strong emphasis on the variety of craft beers and cocktails you can pair with their burgers, as well as live music performances on the weekends. It’s a burger-joint-meets-hipster-bar kind of vibe, and their Instagram account hits the nail on the head. Toutant is one of the most talked about new restaurants in Buffalo, so there are some pretty high hopes for both the food quality and presentation. And by looking at their Instagram account, they are meeting these expectations flawlessly. With a specialty in Southern cuisine they understand that some of their followers might not be super familiar with the food they’re serving up, making imagery that much more important. They take care to explain, educate, and make you drool all at the same time. If you need some #foodporn in your life (who doesn’t? 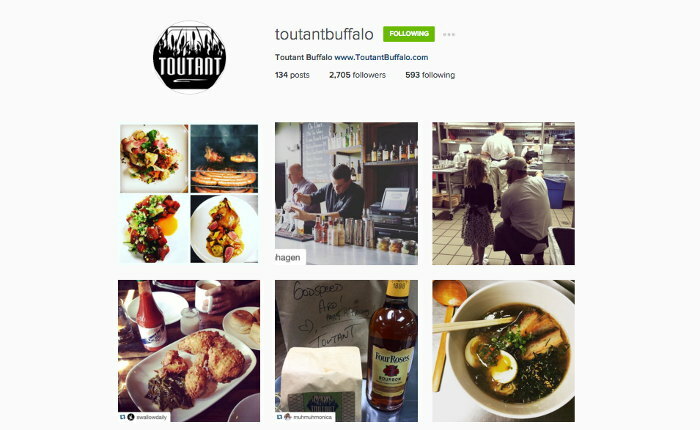 ), following Toutant on Instagram is a must. It can be tough to keep up with all that’s happening around Western New York, but you have to admit it’s quite exciting! There are always new restaurants to try in addition to local staples, so it’s unlikely that you’ll run out of places to go. 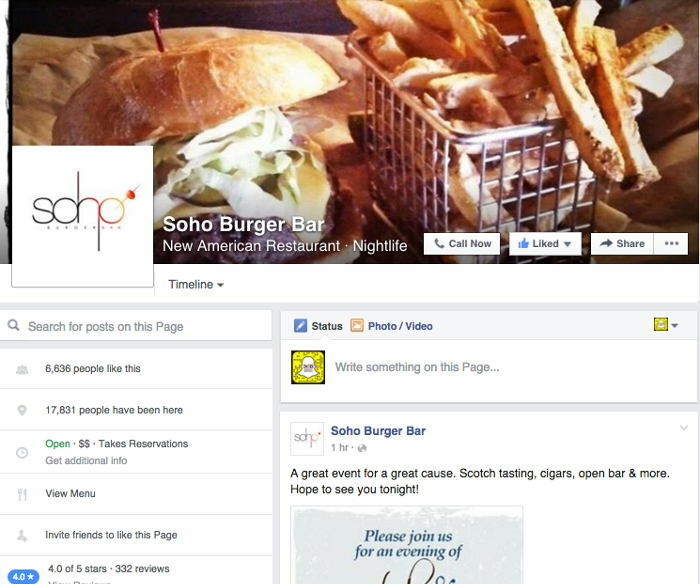 If you haven’t checked out some of the restaurants on this list, maybe their social media presence will entice you. 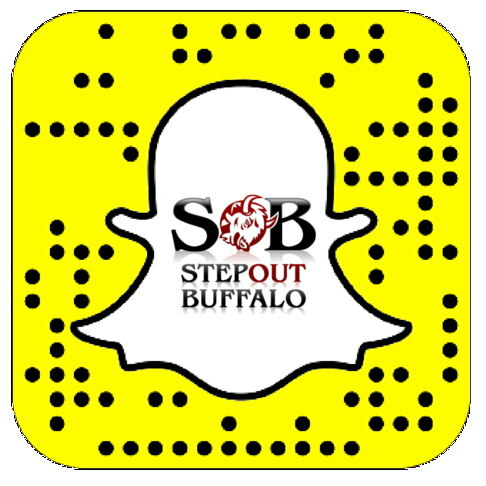 For another great way to keep up with the Buffalo bar and restaurant scene follow Step Out Buffalo on Snapchat (follow us by username: stepoutbuffalo, or by taking a picture of the Snapcode below with your smartphone – if you’re on your device right now, simply save the image or take a screenshot and scan it via Snapchat). If there’s a grand opening or fun event happening around town, you’re sure to see a Snap story all about it! Kim is an Inbound Marketing Specialist at Mainstreethost, a digital marketing agency in Amherst. She's obsessed with Buffalo sports, and can be found tailgating hours before every Bills game. She also loves to take advantage of the long winters by skiing in Ellicottville.